This delightful collection of spiritual infant items serves as signs of our desire to guard our precious bundles of joy. 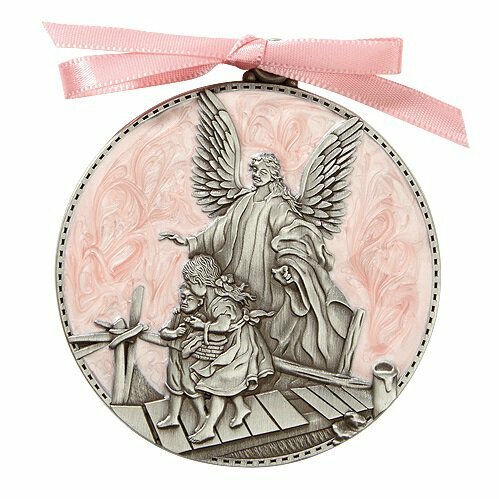 The Pink Guardian Angel Crib medal is a sacramental gift for birth or baptism calling God's angels as a form of protection. Richly crafted in pewter on enamel, and comes with a pink ribbon for easy attachment to your baby's crib or room. Gift boxed for easy storage or gifting.